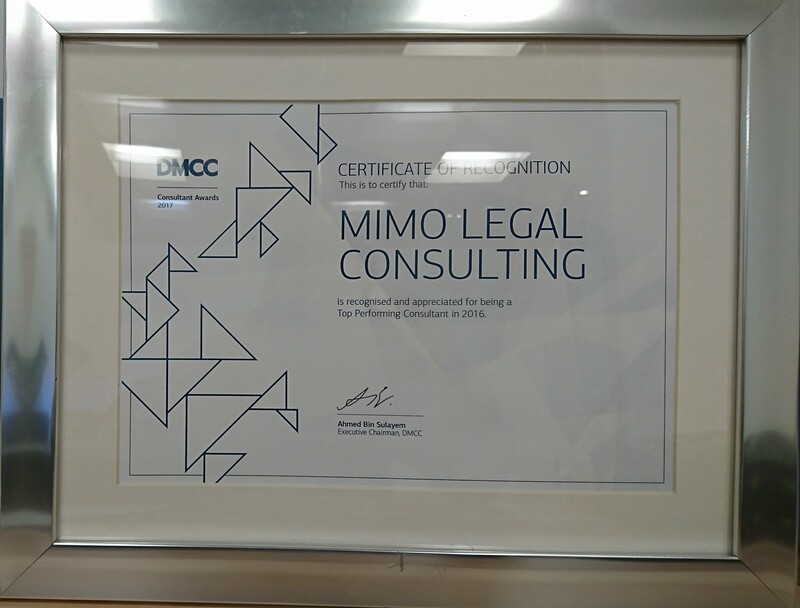 We are extremely honored to announce that Mimo Legal Consulting has received an Award of Recognition from Dubai Multi Commodities Center (DMCC) Authority for being the Top Performing Consulting firm for the year 2016. We are earnestly grateful to DMCC Authority for the recognition of our humble efforts and hard work. Some of the criteria for getting the DMCC Authority’s award are number of companies we have assisted to establish in DMCC, positivie feedback from our clients and business partners and the quality of service we provide to our clients. 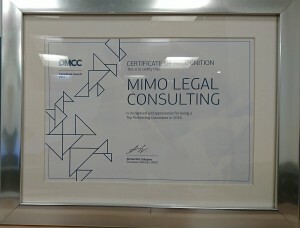 Such recognition makes us even more passionate to continue building a highly reputed and efficient legal and business consultancy firm in the UAE. We thank all our clients and our business partners for their constant support, trust and cooperation with us. We sincerely appreciate the efforts of our hard-working team for helping us reach this stage. We will continue enhancing our services so we can accomplish many of such awards.